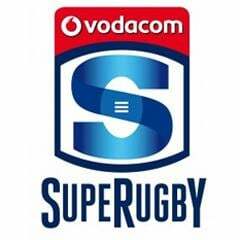 Cape Town - Sport24 chief writer Rob Houwing, in the first of his regular South African-focused Super Rugby previews this year, fancies the Bulls to get off to a winning start as they cash in on some callow figures in the visiting Stormers’ ranks. He also thinks the Sharks, his pick to retain SA conference supremacy this year, will subdue a game Cheetahs side ... even though the Durban outfit remain some way from fullest strength as they await a few seasoned infusions from Japan. The Lions-Hurricanes game could be a rollercoaster ride ... but perhaps with the New Zealanders’ lungs giving way near the finish after their very early-season trek to the Highveld from more temperate climes. Background: This fixture could be extremely tense, and settled by a key penalty strike either way or moment of individual game-breaking magic. The Bulls must be considered favourites, I think, particularly given that they are closer to best staffing at present than their great southern foes are: the Stormers put out a highly experimental back three -- with Cheslin Kolbe the most experienced factor! 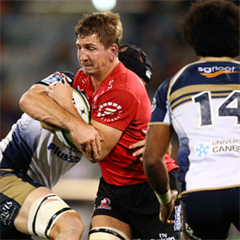 – and in the pack are missing such gnarly characters as Eben Etzebeth, Schalk Burger and Frans Malherbe (though Vincent Koch could make a few people sit up and take notice at tighthead). The Bulls were excellent in several departments at times on their trip to Saracens recently, and with Victor Matfield back calling the shots do seem determined to exhibit a more multi-pronged game-plan this year. Expect plenty of constructive influence from their “ten and twelve” conductors, Handre Pollard and Jan Serfontein. Still, the Stormers have a puncher’s chance, and will be resolute in their bid to avoid a repeat of last season’s nightmare opener – that 34-10 walloping in Johannesburg. Background: A week or so back, it might have been tempting to suggest the Sharks would win this particular all-SA affair by a notably large margin. But a look at the starting line-ups certainly got me to downgrade my “width of victory” prediction in favour of the home side. The team now supervised by Gary Gold doesn’t look quite as formidable on paper yet as you’d expect: it still awaits the assuring influence of such staple Kings Park favourites as JP Pietersen, Frans Steyn and Ryan Kankowski. Coupled with that, the Cheetahs, so many critics’ tips to be whipping boys of the competition this year, don’t look quite as ill-equipped in their starting XV as prophets of doom think. Yes, I am backing the Sharks but not completely writing off a shock away triumph. Still, skipper Bismarck du Plessis might do well to fire up his charges by reminding them of that hugely damaging Bloemfontein defeat late in last year’s ordinary season. It might do the trick quite nicely. Key head-to-head: “Project tighthead” continues for COENIE OOSTHUIZEN of the Cheetahs, as he sacrifices a bit of his run-around potential – always likelier from the other side of the front row – in the patient quest to re-train as a long-term candidate to succeed Jannie du Plessis at No 3 for South Africa. Of course the Bok tighthead incumbent plays this derby too, but Oosthuizen, at scrum-time, has an ideal examination from Sharks and Bok first-choice loosehead TENDAI MTAWARIRA. Despite being more “boxed in” at the set-piece, expect Big Coenie to still try to match the Beast for bulldozing carries and drive-back tackles. Background: These teams shared 58 points the last time they met at Emirates Airline Park (then Ellis Park) ... with the ‘Canes winning by a whisker. It could so easily happen again, but the Lions are a more street-smart and polished crew now, and my gut feel is that this time they will pinch a nail-biter. Much could depend on whether their industrious pack, and especially that effective scrum, gets a firm footing on the game against opponents who have seldom been too juggernaut up front. The Whiteley-Minnie-Kriel loose trio similarly looks a tad superior on paper. Like all New Zealand sides, however, the Hurricanes can be lethal on the counter-attack and from broken play – the sort of team who could notch 21 points in 10 minutes -- so the Lions’ defence needs to be constantly alert and organised. Key head-to-head: This could well be a fast and fluid affair ... at least initially, before the expected heat takes a toll. And if so, few on show will revel more on a hard pitch than the Hurricanes’ truly explosive All Black left wing JULIAN SAVEA. The Lions will not be able to give him an inch of free space ... and virtually the same applies to the ‘Canes man on the wide right, a certain Cory Jane. But Savea is the particularly “special one” for X-factor and the man with the tough task of policing him on the night is Lions No 14 RUAN COMBRINCK, the Vryheid-born former Maties student and utility backline player.